International Relations Director of Varna University of Management (VUM) was among the guest-lecturers of The First Pearl River Forum on Education Internationalization in March. 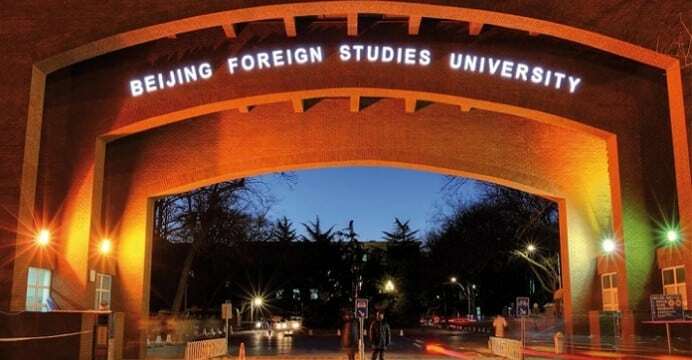 The event was organized in Foshan City by the prestigious Beijing Foreign Studies University, where many ministers and diplomats have graduated. Varna University of Management and one Italian University were the only ones invited to the forum in China. During her presentation, our International Relations Director presented the VUM’s experience in the internationalization of higher education. Good practices have been shared from VUM`s higher education projects, including “La Manche – Leading and Managing Change in Higher Education” funded by Tempus IV – a good example of transnational cooperation between project partners in 29 participating countries, contributing to internationalization processes . She also told about the internationalization itself in Varna University of Management – more than one third of the regular VUM students are from Europe, North America, South America, Asia, Africa. During the forum, facts about the successful implementation of student mobility were presented. For the last three years, VUM has increased 3 times the number of students in incoming mobility – 50 students in 2015, and in the 2018 they have risen to 152. The guests of the forum also learned about the possibilities of studying for a double degree diploma at Varna University of Management – all the programmes allow completion of a second diploma from a prestigious European university. Except in the EU, VUM sends students to Brazil, Japan, China, USA and others.